Lead And Nickel Free! 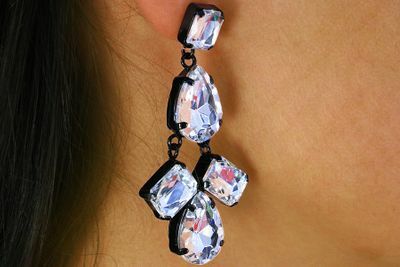 Beautiful Black Chandelier Earrings With Clear Rectangle And Teardrop Shaped Faceted Stones. Earrings Are For Pierced Ears. Earrings Measure: 1 1/4" Long.